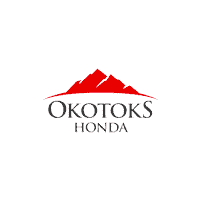 Okotoks Honda is the #1 Google Rated and Reviewed Honda Dealership South of Calgary, Alberta, Canada. That’s a fact, but there are plenty of good reasons to back up that claim. Most importantly, our family-friendly business is committed to providing the highest customer satisfaction possible without any hassle or stress. We stock a complete lineup of new Hondas and used cars for the Calgary, Okotoks, High River, De Winton and South Calgary, Alberta and surrounding region. So why do we do what we do? Why do we stand out from the rest? Our online and in-store shopping process is all about clarity and transparency. Haggling and traditional back and forth conversations isn’t the way we do business. We price competitively price our used vehicles according to market but understanding that everyone wants a good deal. That’s why we engage in a transparent shopping experience so everyone wins. Making the trip to Okotoks is worth it…let us show you.